MARY ON THE BOARDWALK WITH JACK? I can’t confirm where this picture was take, or when, or who the man next to Mary is, but if she is roughly 8 or 9, she’s either very tall, or he’s very short. They appear to share the same nose so it’s probably her father, Jack. It’s also likely from Baltimore as it was part of the Baltimore Sun archives at one point. 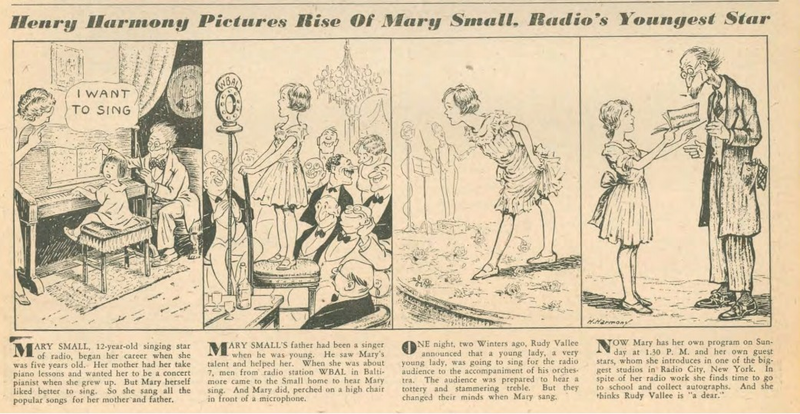 I did stumble upon a great little cartoon that references her Dad from The Microphone, 1934.